Yikes! There's a huge spider on your chest! 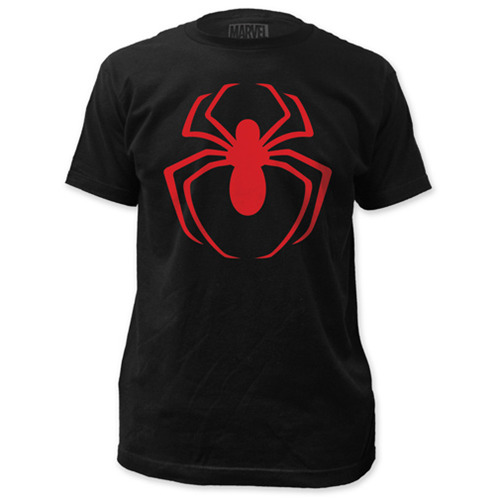 That might be the reaction when you wear this The Amazing Spider-Man Red Arachnid Logo Black T-Shirt to the mall. You can tell people not to worry - it's just an arachnid. The shirt comes in sizes S, M, L, XL, XXL, and XXXL.